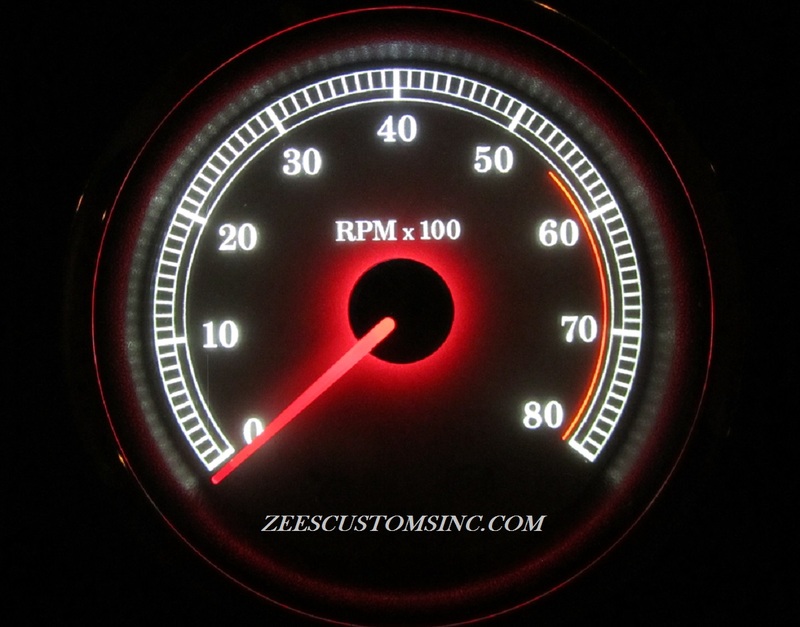 Zee’s Customs Inc. takes your stock boring gauges to another level! 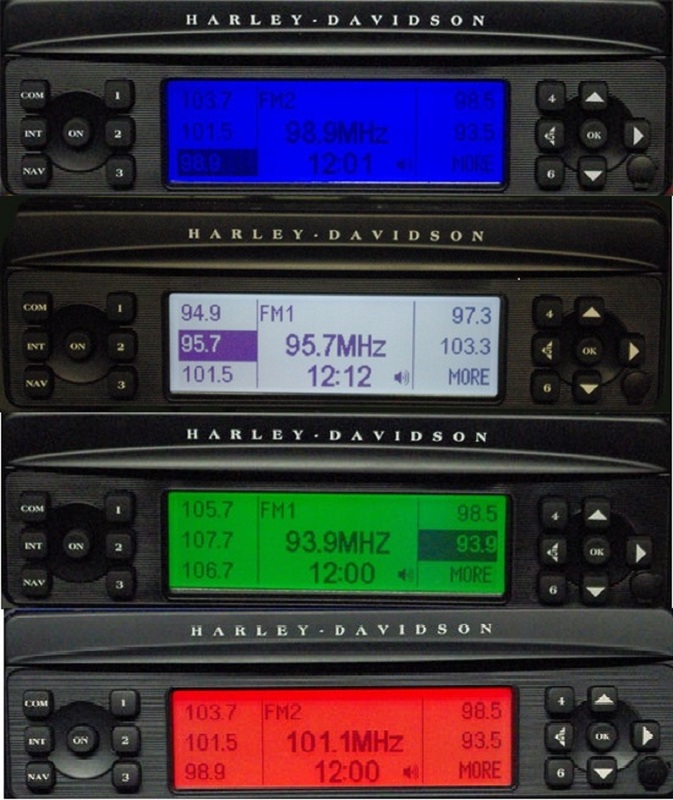 We use your gauges and turn them into a custom one off look, All Harley models from 2000-2019. L.E.D. colors available: red,blue,green,white,orange,purple,pink. 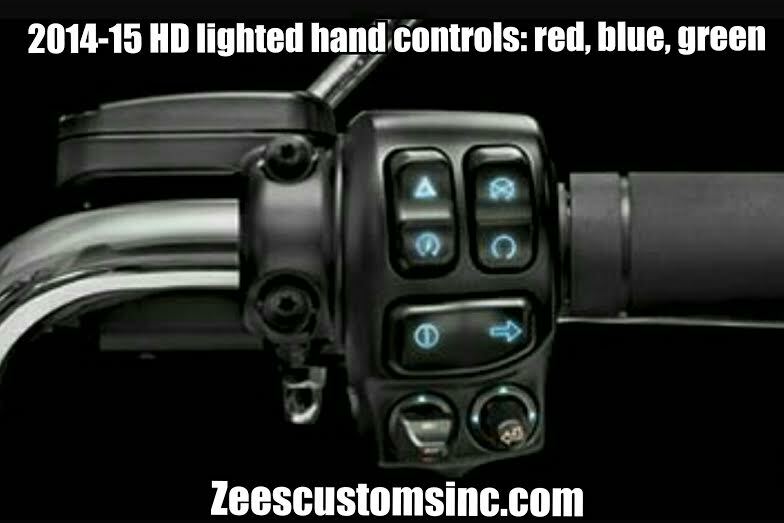 Purchase your modification below! 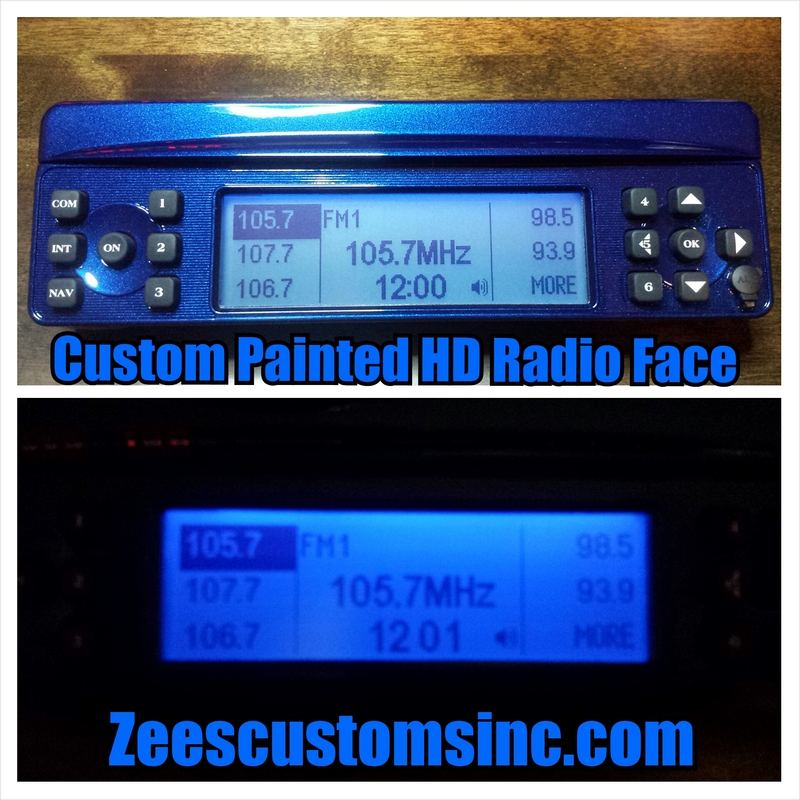 and see multiple examples.. Also check out the bezels! 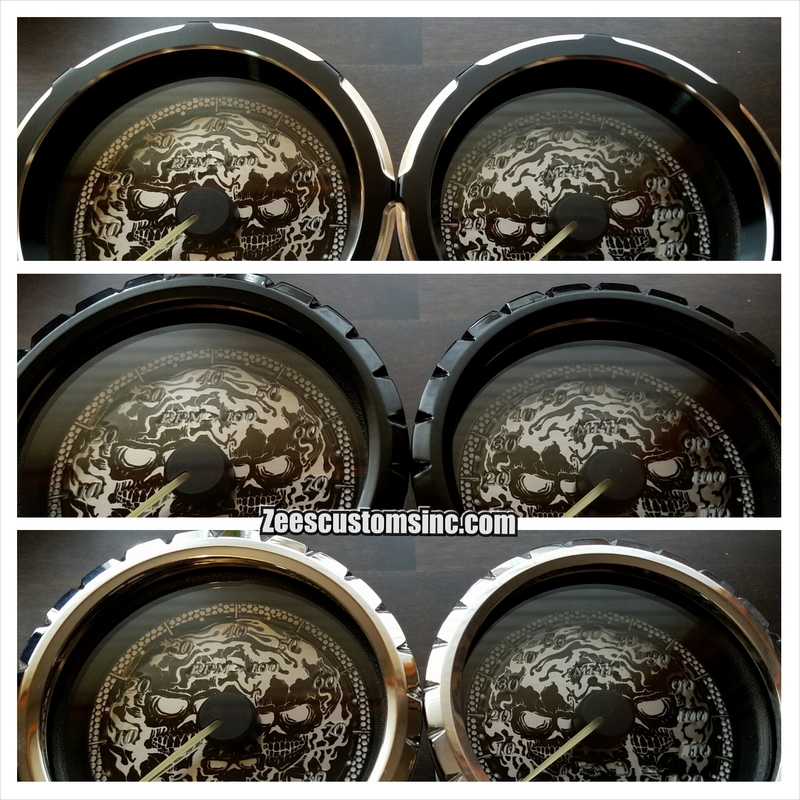 Includes: Streetglides, Roadglides, Triglides, and Ultra Classics. 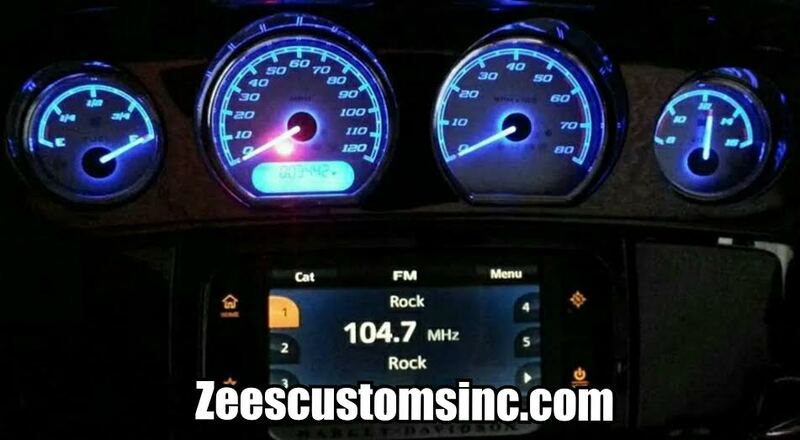 All four gauges changed to your choice of color or colors. 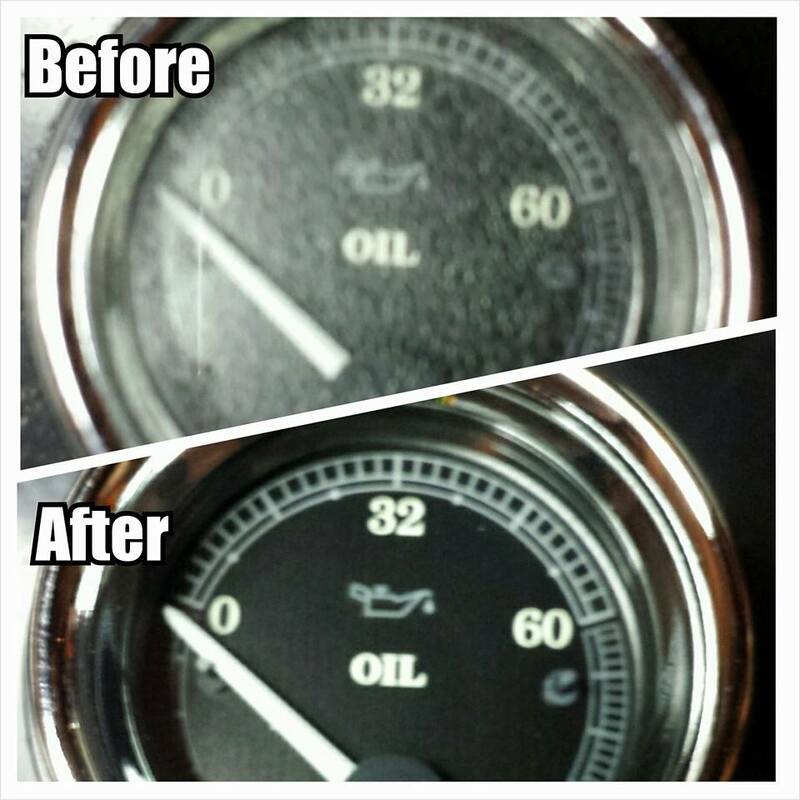 Do your gauges have: streaks,cloudy spots, or areas that look like water stains? If so we can make them crystal clear again with “our stripping” process and looking new again! 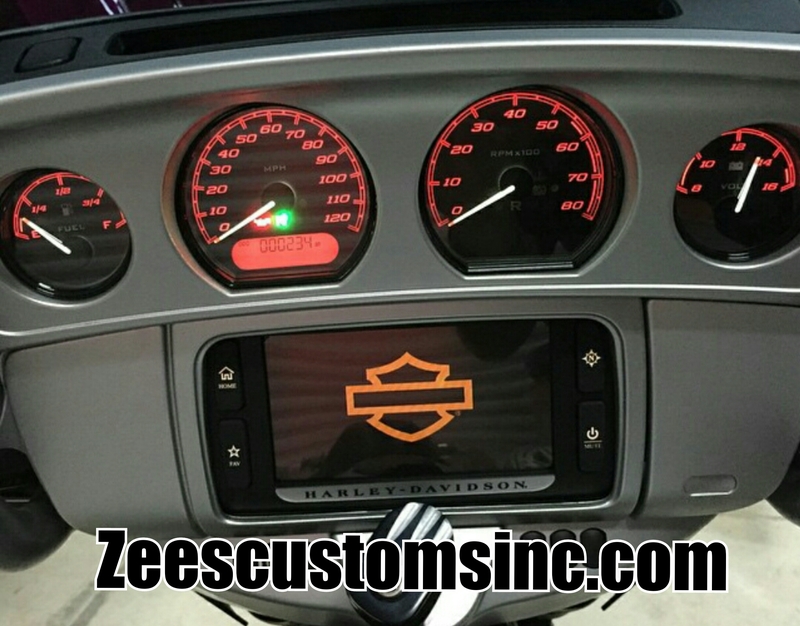 We modify your boring stock Harley Davidson gauges, 2000 and newer. Unlike some of the other companies we are a full service shop Everything is done in house! 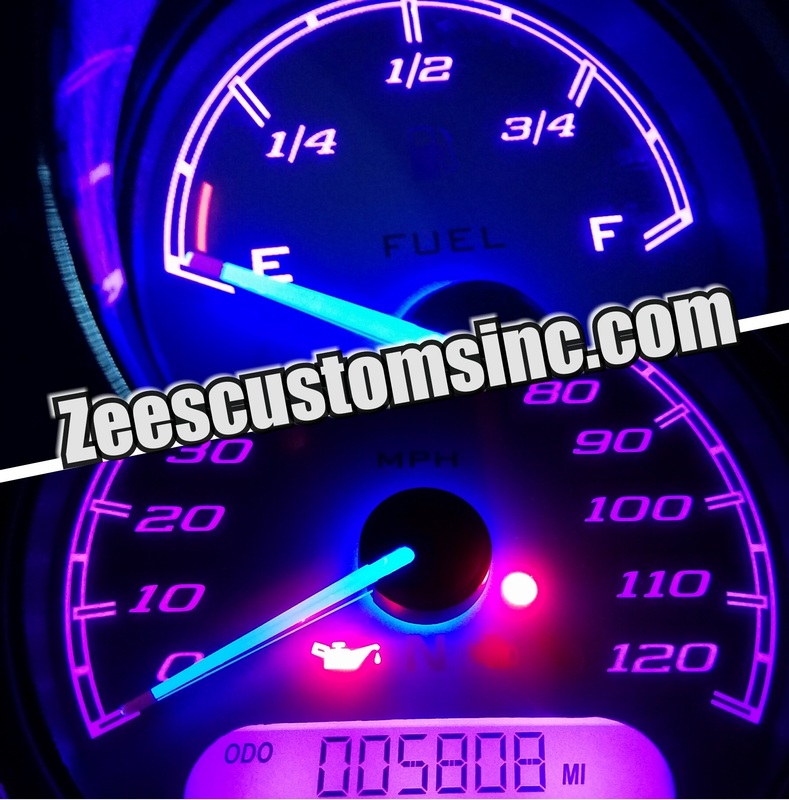 We also supply you with matching bulbs for the 4 smaller gauges (2000-13) for the touring models (unlike our competitors) We can change the color of the LED’s in your factory gauges, needles, and mileage to any color you like: Red, Blue, Green, White. 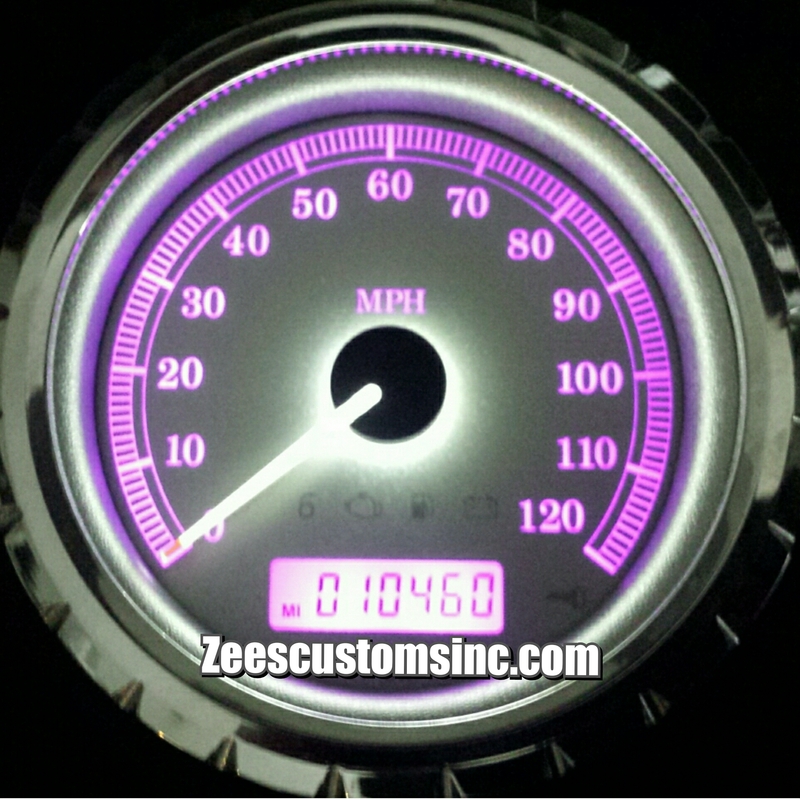 Purple, Pink and Orange for that custom look. 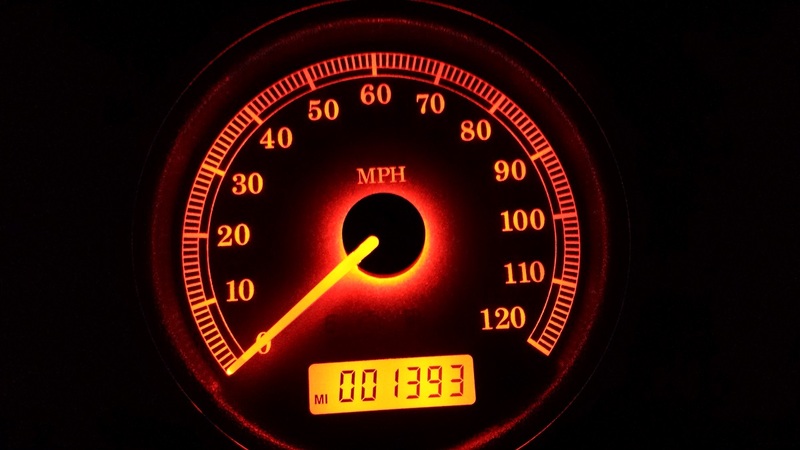 The needles and the mileage display do NOT have to be the same as the rest of the gauge. 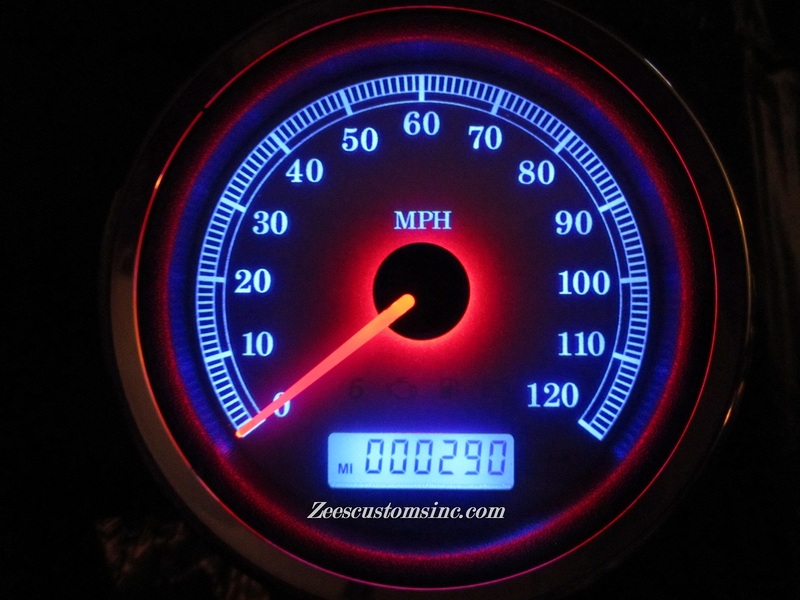 We are the only shop that does 2000 to 2019 gauges, and are currently doing the 2000-19 Softails, Dynas, and Sportys! 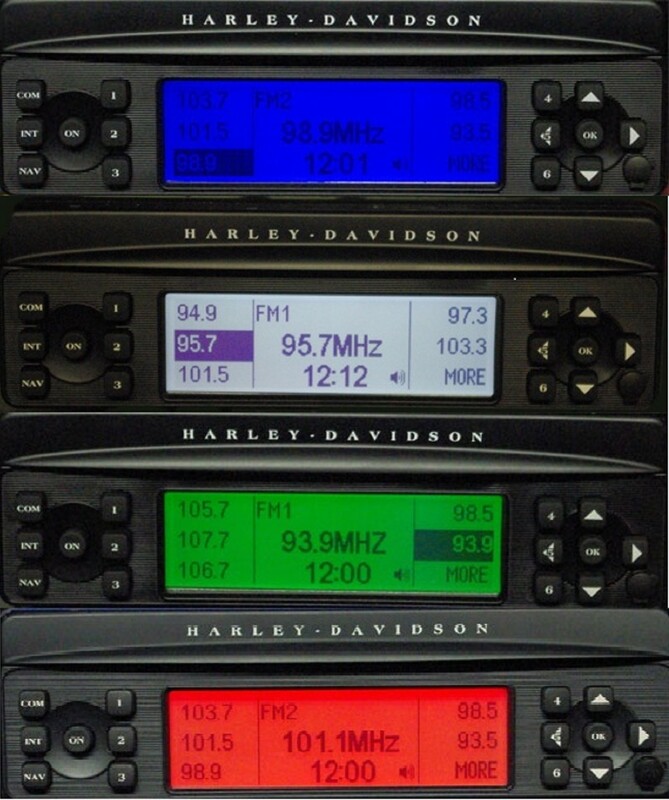 2000 to 2006 models can only be changed to a signal color (red, blue, green,white, orange,pink, or purple). 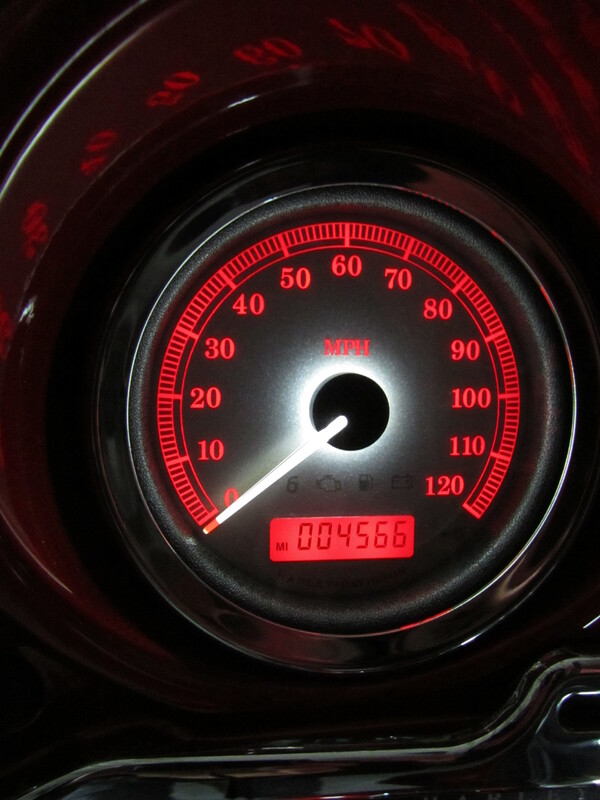 2007-19 we can make the numbers one color, the needle another and finally the odometer another color. 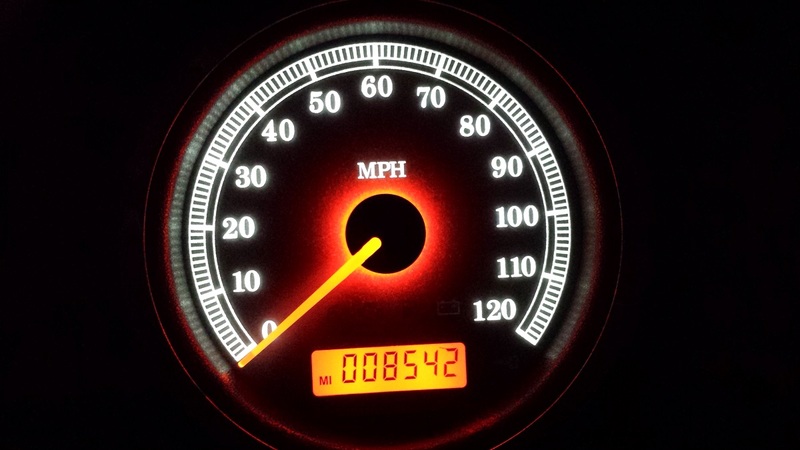 Examples:, Blue numbers with white needle, red odometer. 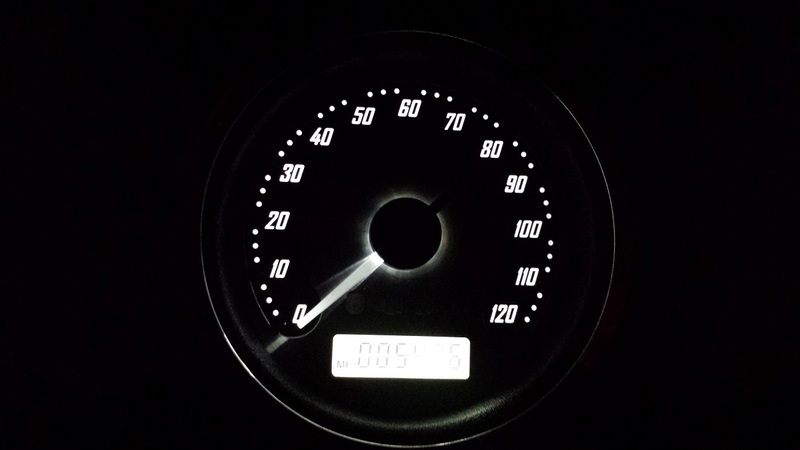 Green numbers, white needle, white odometer. 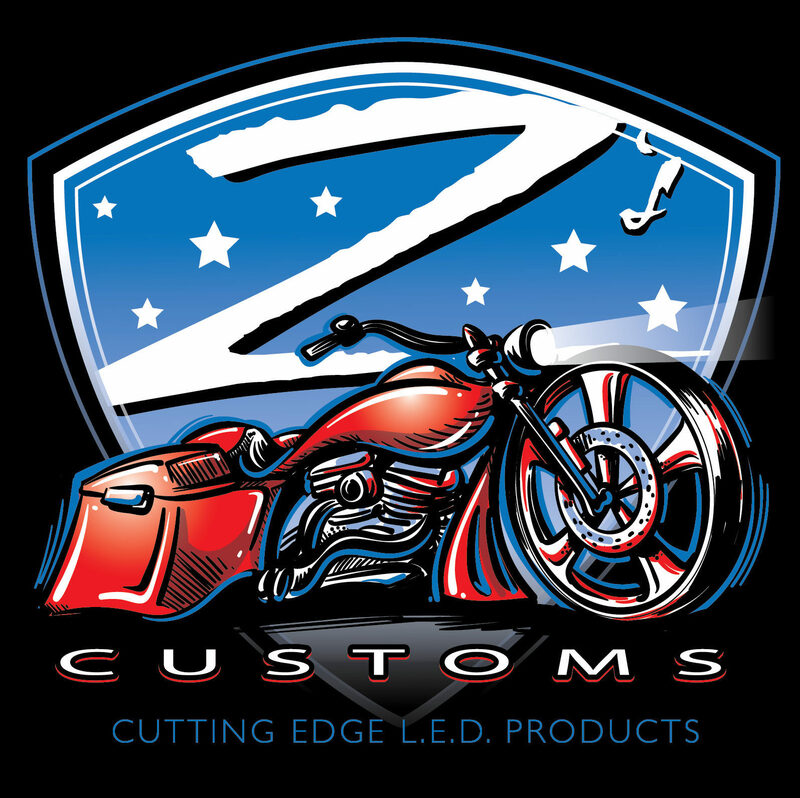 We can mix and match colors to match your bike for a complete custom look for your bike. 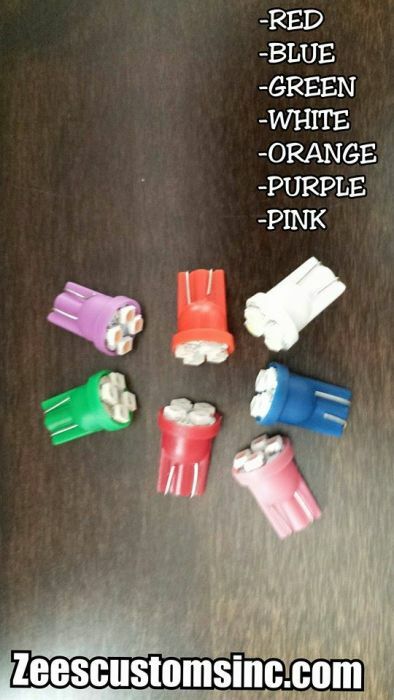 We stock all popular colors, Blue, Red, Green, White, Purple, Pink and Orange. 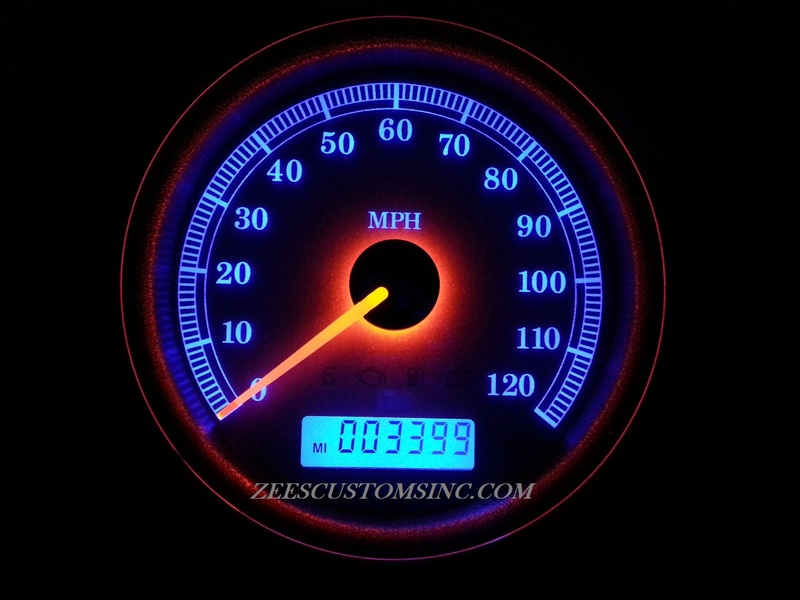 After you decide your color or colors, you pull your Tach and Speedo or your speedo, and ship them to us (see our contact page or work order for address). 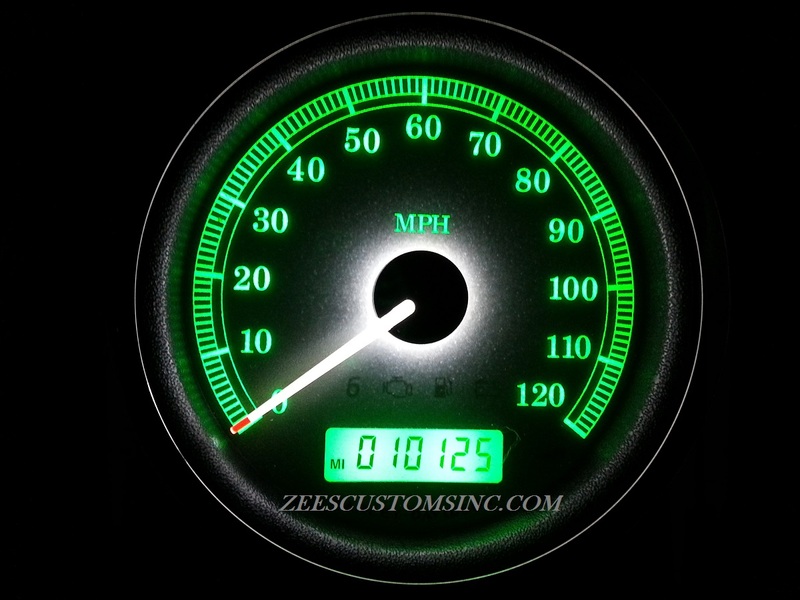 The four smaller gauges you hang onto (for 2000-2013 Touring models), we will supply you with five matching L.E.D. replacement bulbs. 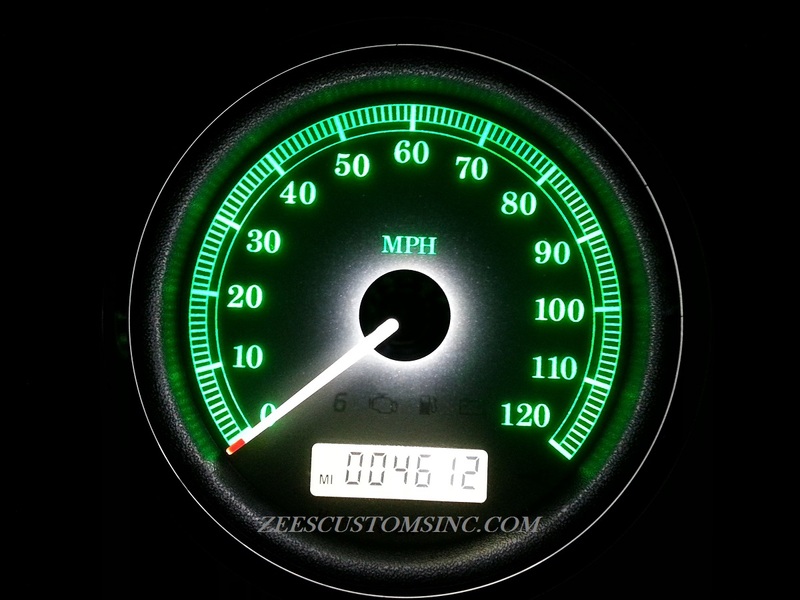 2014-2019 Touring Models Send All Gauges! 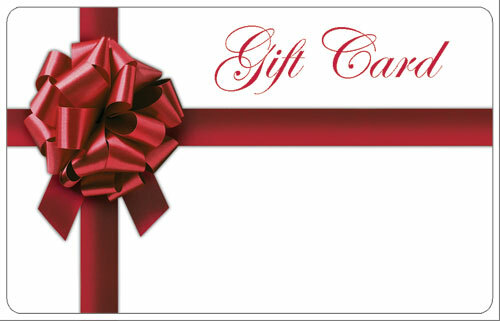 Payment options (1) Complete the purchase at the top of the page (this includes return shipping) or (2) a money order (made out to: Jim Zemaitis), payments must be received before any work is started. Print and Include the work order below with your information. 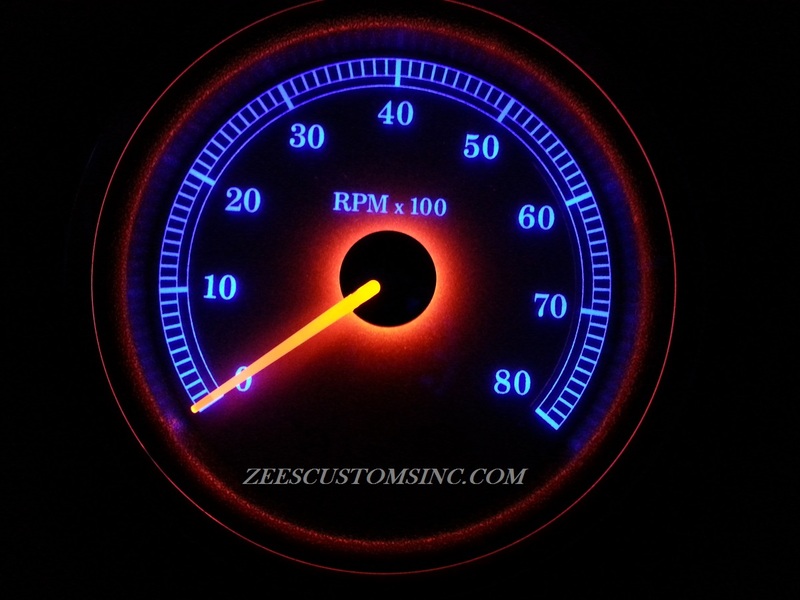 We will have your gauges back to you ASAP, usually in about 4-5 days after we receive them due to shipping time. 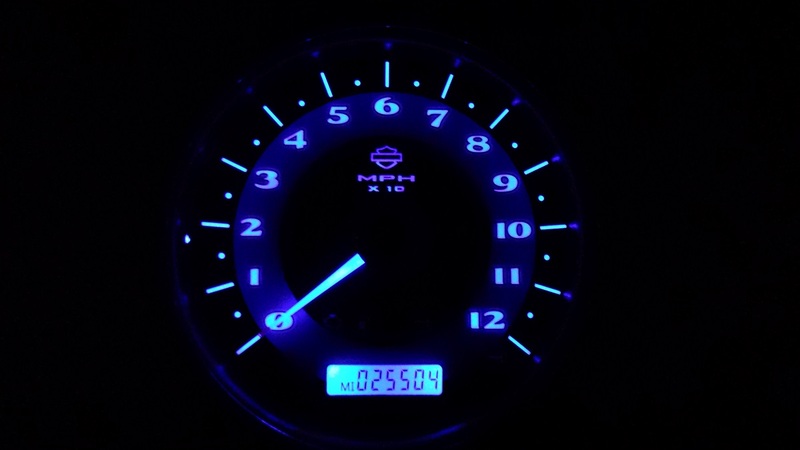 Be sure to package your gauges well, use bubble wrap, newspaper or any other packing material. We will not be responsible for damages due to shipping. 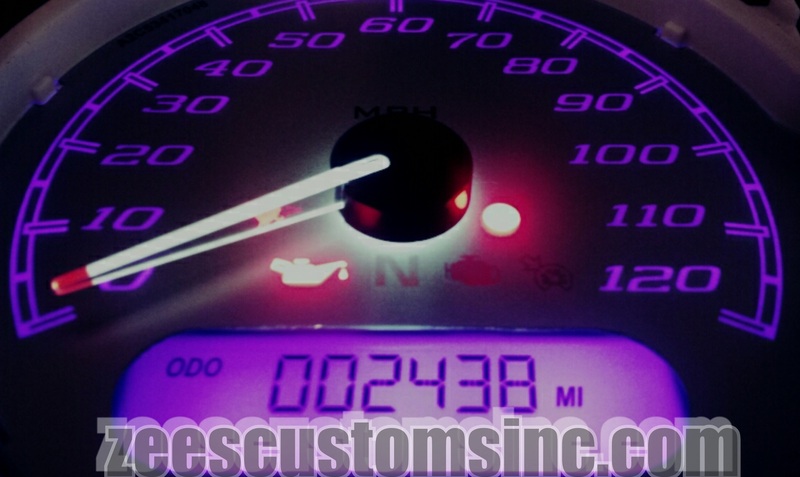 The work we perform will not affect how your gauges work in any other way, other than the LED color changes. DO NOT include: screws, mounts, etc. 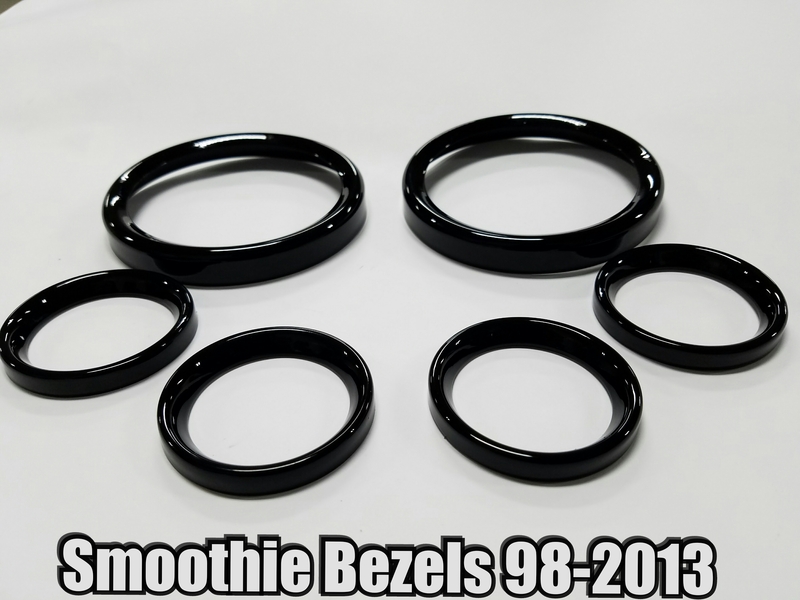 If you have aftermarket chrome trim rings (glued or silicone) remove them before shipping them to us. Service and quality way beyond the norm. It’s a pleasure to do business with him. 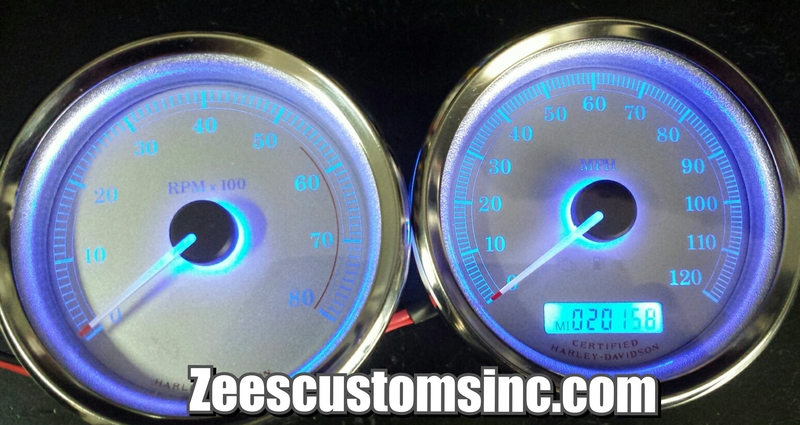 I have had my control lights done, now ordering custom gauges. 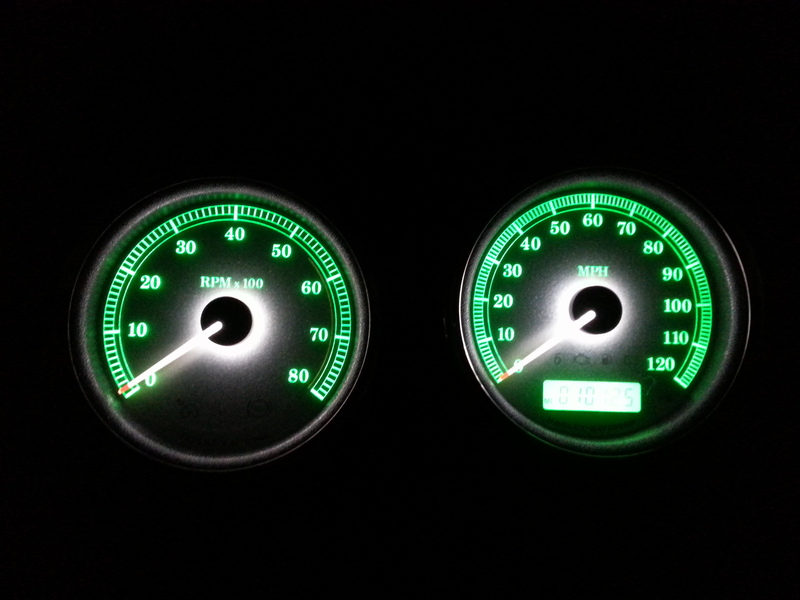 Just received my speedo and tach back and installed them along with the supplied bulbs. The pictures on your site do not do the justice of what they look like in person!!! Thank you for an outstanding job on them. 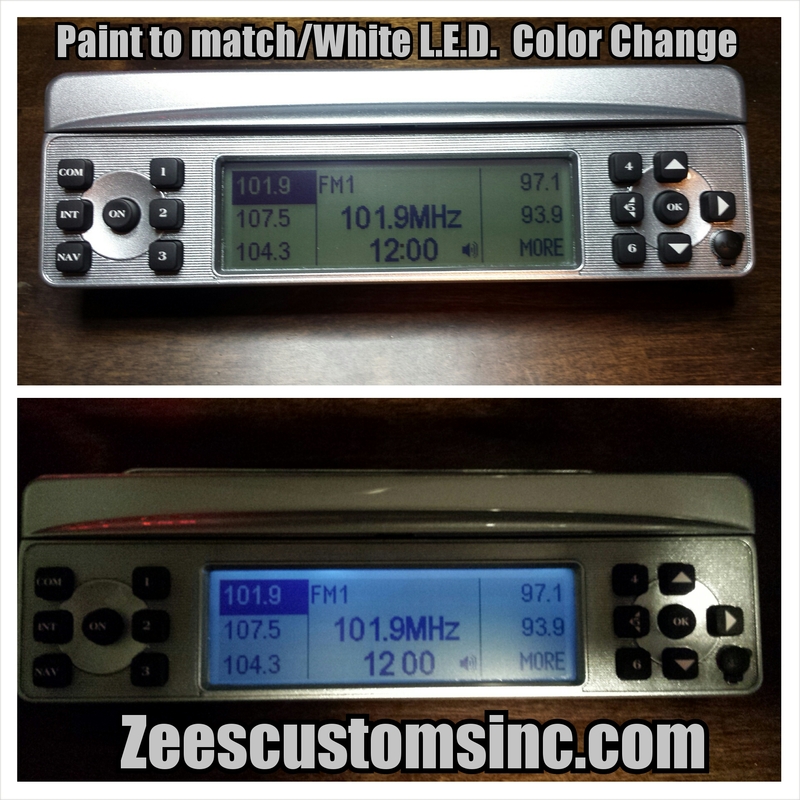 Can you change the led’s on a 2003 HD Deuce? 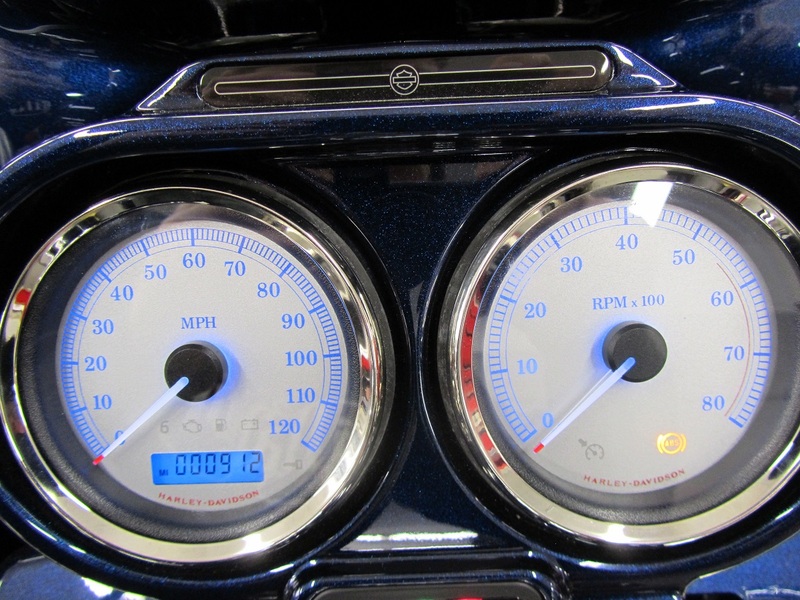 I did the red with white needles for the gauges on my ’09 Street Glide. They match the stock HK radio and look AWESOME! 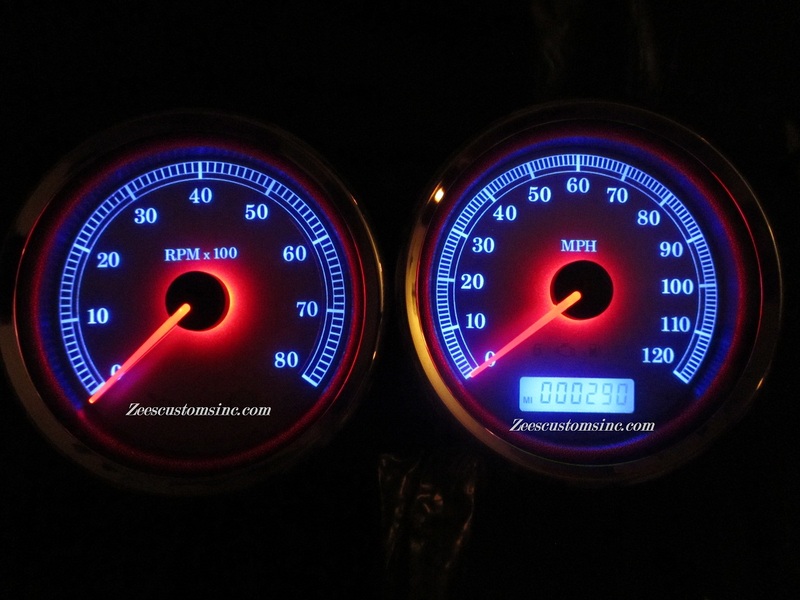 I sent my gauges to Jim on Monday, he got them by Tuesday, and I got them back that same week on Friday. Great communication and one of the cheapest mods I’ve done but one with the biggest “wow” factor. The combo of the vivid black bike with the red LEDs really transformed the look. I’d highly recommend them. I was more than impressed at the Donnie Smilth Bike Show. I look forward to receiving such outstanding service. I have a 2009 FLHT EG. I understand the turn around time and what needs to be done. I like the fact that you have stepped out of the norm and made this a workable. doable event. Question,. 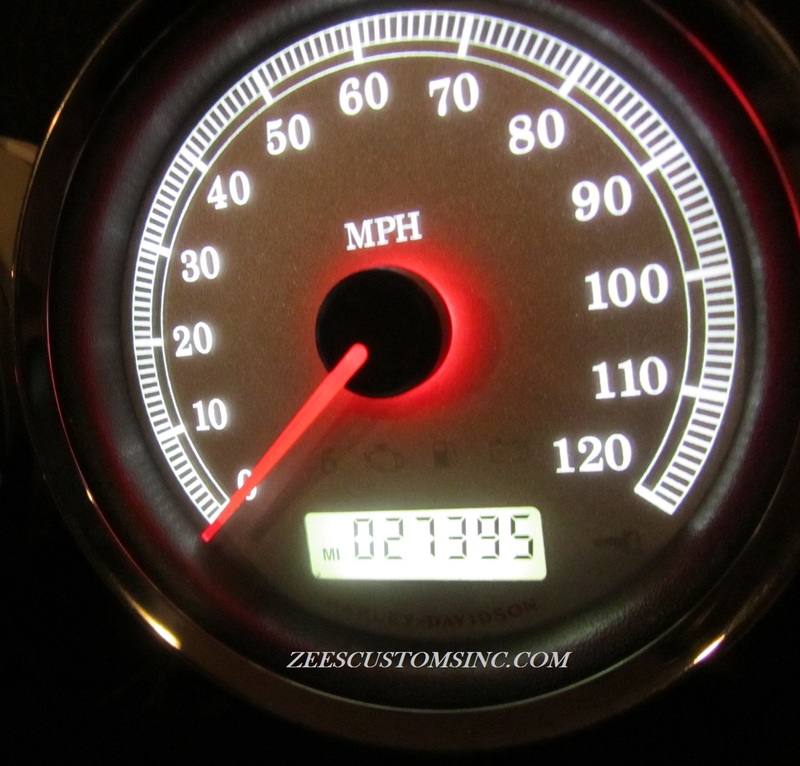 what would be the turn around time if the gauges were delivered to you personally? 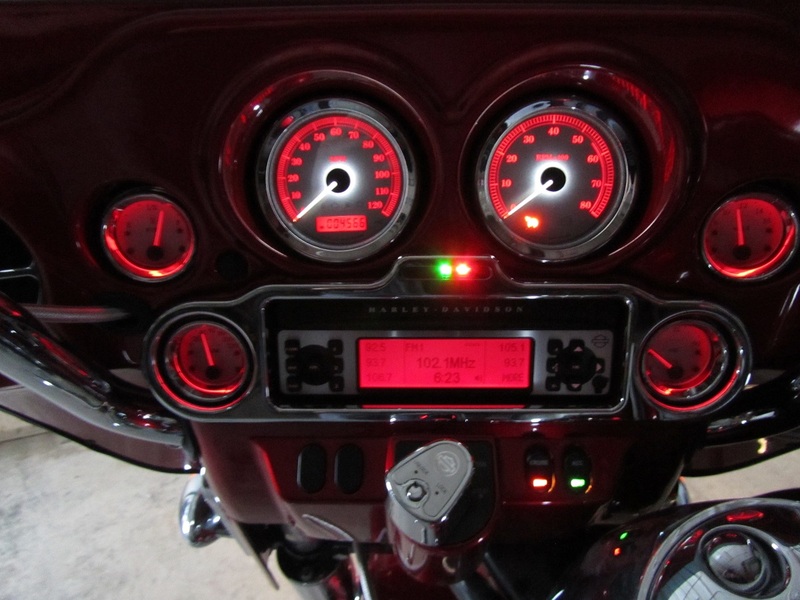 Are you able to change the led’s for the 09 CVO gauges? 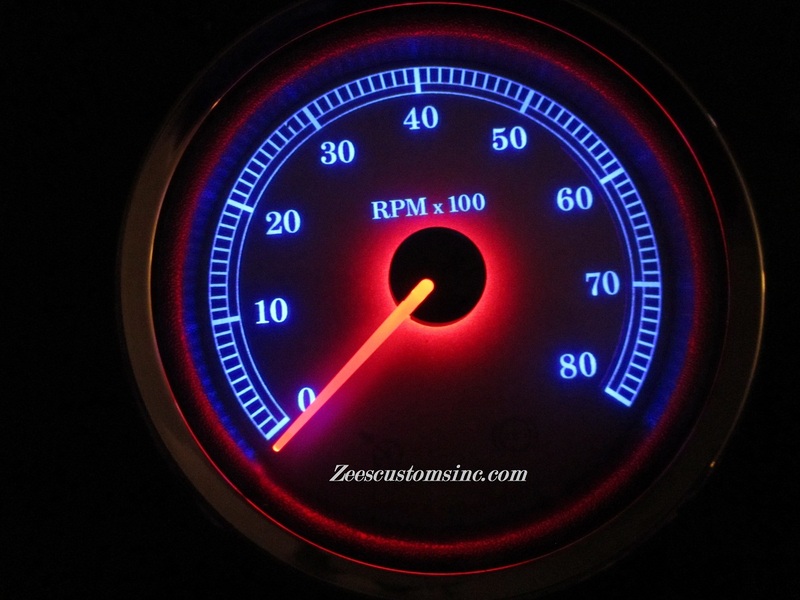 I was wondering if you have orange LEDs for doing the backlighting on my Street Glide gauges.. 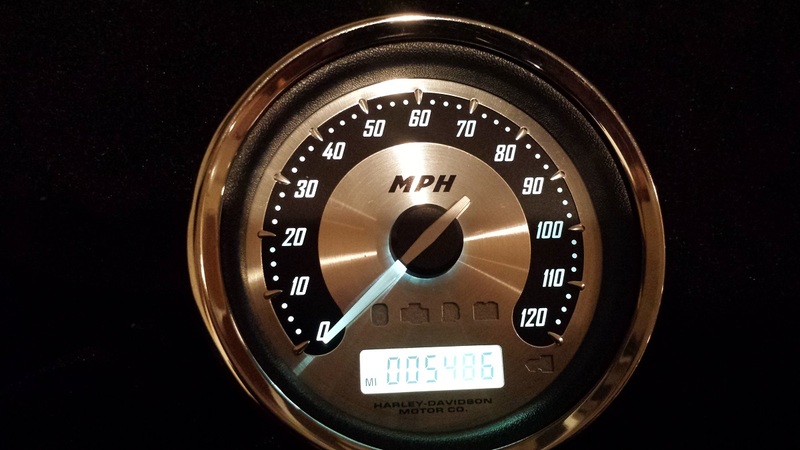 I have a 2000 Haritage softail and want to upgrade to a O8 Deluxe guage. I bought the guage but it is slightly thinner and has a different plug. 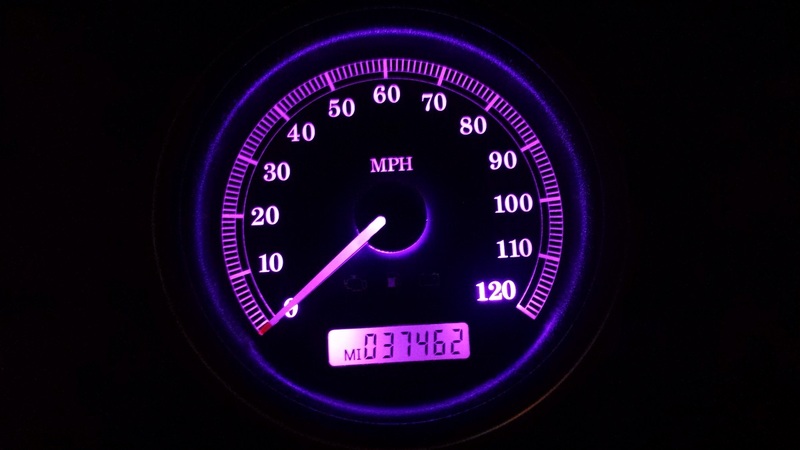 I was hoping I could have the face changed from the newer guage to my orignal guage. If this is posible or making my guage face redone with a more vintage apperance I would be interested.